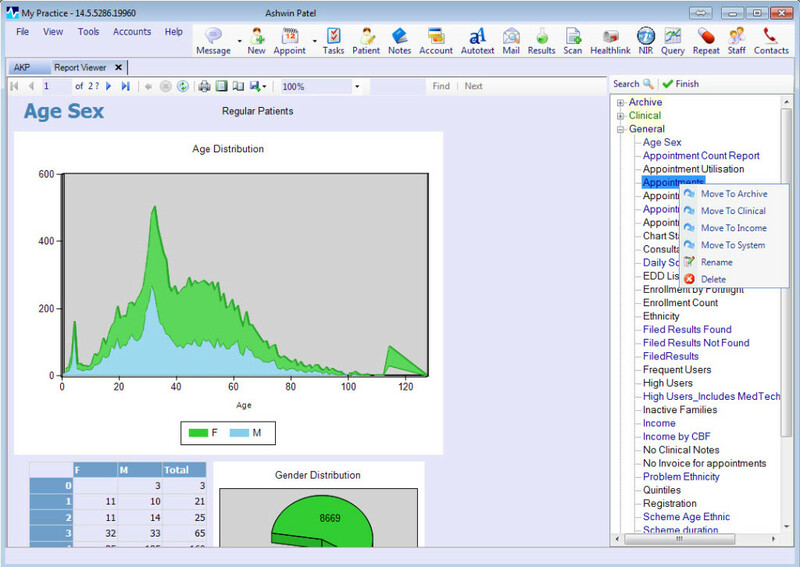 Access to reports within Income and Clinical folders is restricted dependent on user permissions . Built in reports are in a black type whilst reports installed on each practice’s server are blue. Click on a report name to run the report. You may be prompted for parameters such as date ranges. Reports may take a few seconds to minutes to run. The output from each report is displayed in the left panel. Above the report are controls that allow changing the view size, printing and exporting the report . Export types include Word, Excel and PDF formats.